There are lots of reasons why people want a second home in Spain. Its fantastic climate for a start, which allows for a wonderful lifestyle. Throw in convenient access from the UK, affordable property, world-class cities and 5,000kms of pristine coastline and it seems a no brainer. Your ideal destination will depend on what you’re looking for in a holiday home: beaches, water sports, golf courses, bustling resort or rural village – Spain has it all. 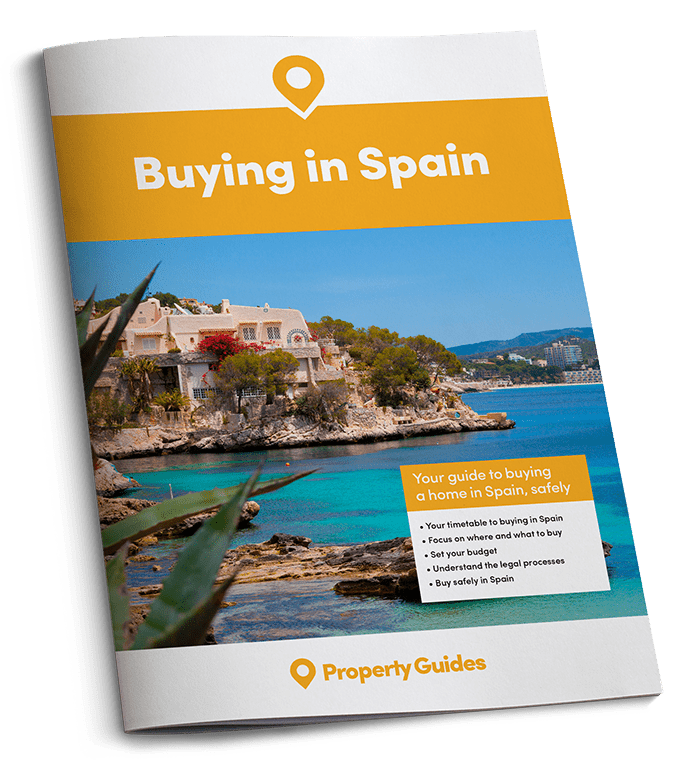 Join us as we explore some of the best places to find your dream holiday home in Spain. The Costa del Sol is extremely popular with British buyers, meaning English is widely spoken. It boasts an average of 320 sunny days a year, with Málaga basking in 3000 hours of sunshine – more than anywhere else in Spain. It isn’t just the sunshine that makes this stretch of coastline so popular. There are over 60 golf courses to discover and four of them are in the world’s top 10: Valderrama, San Roque, Sotogrande and La Reserva. Don’t forget the watersports; everything from scuba diving to kite surfing. So where should you look for your holiday home around here? Popular towns by the sea include Fuengirola and Benalmádena. Both are close to Málaga, which offers plenty of culture, great shopping and excellent restaurants. Prices for larger properties are comparatively high but you can find two-bed apartments for a reasonable price depending on location. Mijas Costa has the best of both worlds but there are almost no “cheap” properties here. Torremolinos is a resort town with plenty of apartment buildings and if you are not worried about a sea view you can find nice flats for sensible prices. Estepona is another town which is sought after for holiday homes, as is La Duquesa to the west of Marbella. If, however, you’d prefer to live somewhere with a more Spanish feel, then consider Mijas Pueblo or Arroyo de la Miel, a real Spanish village above Benalmádena. Further south towards Gibraltar lies San Pedro de Alcantara, just 10 kms away from Marbella. Here you’ll find an old town with cobbled streets on one side of the main road and an attractive promenade on the other. Lying to the north of the Costa del Sol is the Costa Blanca, another extremely popular holiday home destination. 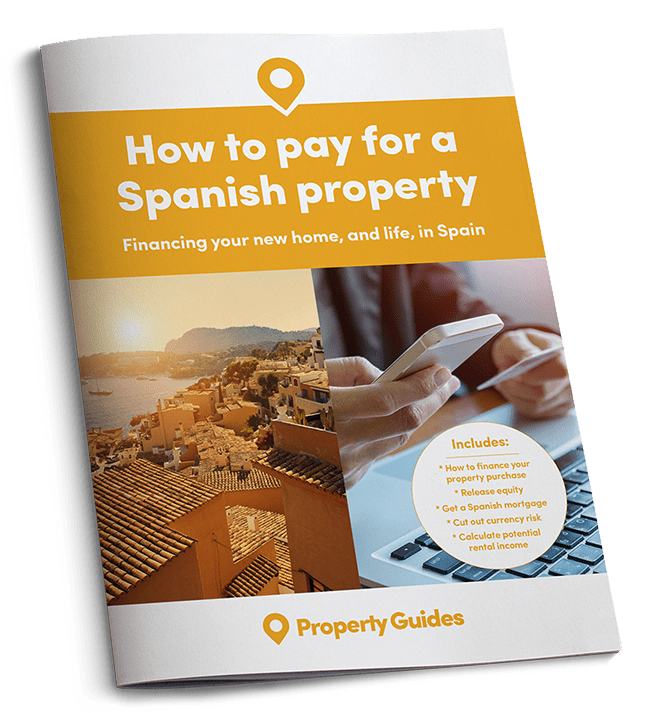 The weather is also warm and sunny most of the year, but property prices tend to be less expensive than on the Costa del Sol. There are 18 golf courses in the area to choose from and property ranges from rural fincas to resort apartments. The Costa Blanca varies greatly from north to south, so it’s worth checking out both to see which suits you best. The south is very warm and dry with great beaches on the fairly flat terrain. As you travel north, you will see a changing landscape as mountains start to appear and it becomes much greener. The beaches are made up of little coves with cliffs and are quite rocky. The south is closer to Alicante and Murcia airports making accessing your holiday home a breeze. The north is very pretty and more peaceful but property prices are considerably higher. South of Benidorm is where to look for excellent beaches and seaside resorts. To the north are typical seaside villages lining the green hillsides and if you venture further inland you will find vineyards and orange groves. Torrevieja in the south is one of the best known resort towns, offering everything you would want for a holiday home destination by the sea. Other destinations popular with British buyers include Alicante and La Manga, the narrow promontory separating the Mediterranean from the Mar Menor. 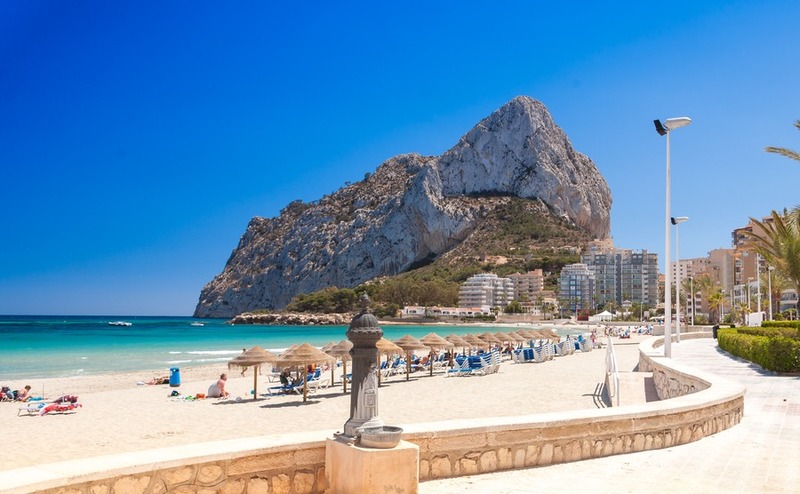 North of Benidorm, towns such as Calpe, Dénia and Xabìa are good places to head on a viewing trip. These all have large expat communities, with English is widely spoken. Teulada-Moraira are two towns in one and would be a good choice for people seeking a traditional setting. As would Altea, despite its close proximity to Benidorm. The Balearic Islands each have their own beauty and identity. The best known and largest island is Mallorca (or Majorca) where many celebrities have their holiday homes. The sheer beauty of this island with its mountains, coves, stunning coastline and marinas is what lures them and countless others. It is an expensive island though, so if you are thinking of buying your holiday home here you will probably need a bigger budget than on the mainland costas. The north of the island is the most exclusive. In the south and not too far from the airport you’ll discover many delightful coastal towns. Right in the northeast is Port de Pollença, which has a thriving British community. The winters are not as mild as in the south and so many restaurants and businesses close but you will always find some places open. The port offers sandy beaches and golf courses and is a busy place with plenty going on. Most of the property is new and modern. In the southwest is Andratx, which has a small but pretty port and a yacht club. This as a typically Mallorcan town, so not as busy as others on the island. 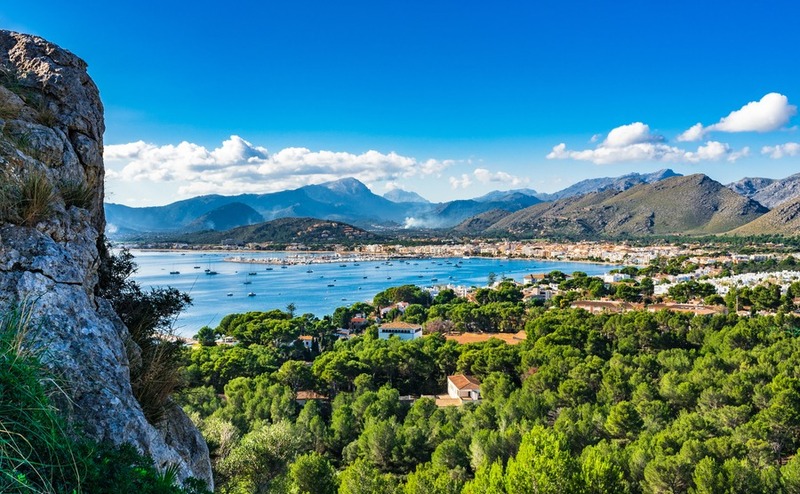 In between Pollença and Andratx are the beautiful Tramuntana Mountains, where you’ll find lovely little villages and good connections to the coast. The people of Mallorca speak Mallorquin, similar to Catalan though on the coast most people speak Spanish and English too. A much smaller and quieter island, Menorca is the ideal place for peaceful holidays. It has encouraged sustainable tourism for years and the gentle terrain makes it perfect for hiking and cycling. There are some wonderful unspoilt beaches, such as Marcarella Cove which has very fine sand and an aquamarine sea. The port of Mahón is the largest natural harbour in the Mediterranean and apparently the second deepest in the world. It is also home to a quaint old town. The British and Spanish are the main buyers but recently the French have discovered its charms. Flights to the island are plentiful from Easter to October, but are reduced to one a week during the winter months. The “White Isle” is known as a party island but that is only some of its story. It is a very pretty island and with the “party” side located in just a couple of places, it’s a great place to spend relaxing holidays. Head into the hills and there are pretty villages and upmarket homes. The areas of Cap Martinet and Can Furnet are both wthin walking distance of Ibiza Town, where you’ll find some great bars and restaurants and a swanky marina. In the northeast of Spain is the Costa Brava or “wild coast”. 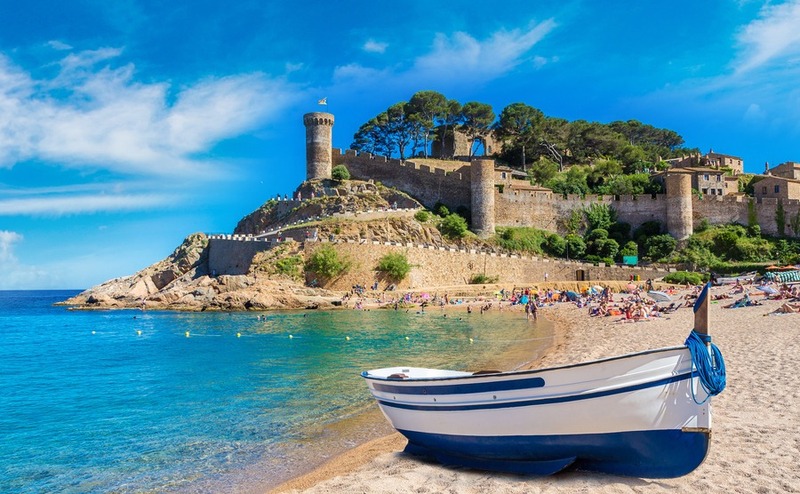 The southern part is home to Tossa de Mar and Lloret de Mar, both popular holiday spots. Of the two, Tossa is undoubtedly the more attractive. The further north you head, the coastline changes to rocky inlets and small coves. Almost halfway up is the town of Sant Feliu de Guixols, a very Catalan seaside spot popular with families. It has two pretty beaches, a small rambla, plenty of bars, all types of restaurants, a pretty pedestrian free centre and a permanent British community. There is no wild nightlife here – for that you need to go to Platja d’Aro about 15 minutes’ drive away – but there is always plenty going on. It’s about 35 minutes from Girona airport and 80 minutes’ from Barcelona El Prat airport. About 30 minutes’ drive north of Sant Feliu you come to the three beaches of Calella de Palafrugell, Llafranc and Tamariú. These, together with the hilltop town of Begur, are the jewels of this coastline – small seaside fishing villages with an authentic feel. This part of the Costa Brava is quite pricey for obvious reasons but the views from the rocky cliffs are stunning.